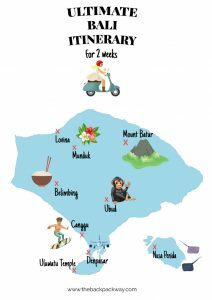 After spending 2 months (in total) on this incredible island we put together everything you need to know about the island of the Gods in this ultimate Bali itinerary. 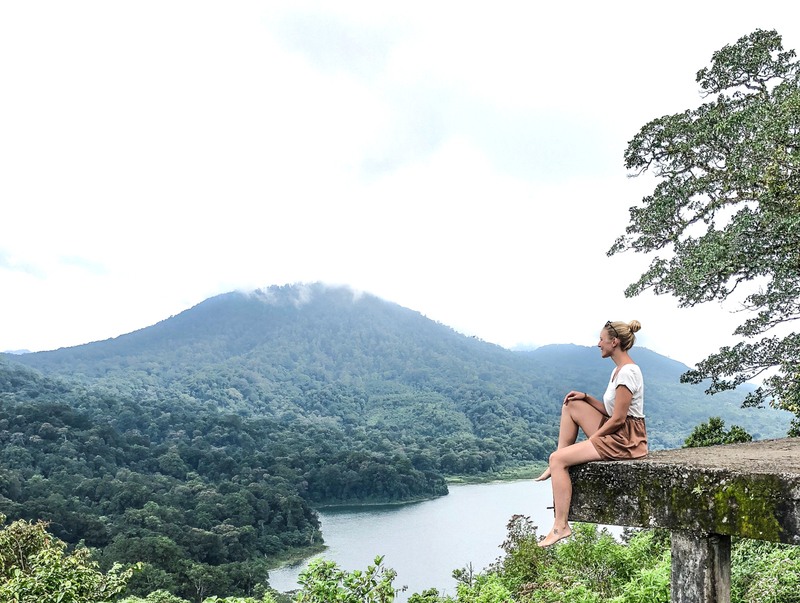 No matter if you are a first time visitor or lost your heart in Bali, as we did, this Bali itinerary includes all top sights and hidden gems for your perfect experience on the island. Stunning surf spots, endless rice terraces, incredible mountain views and impressive temples. Bali offers such a broad variety of sights and activities and in addition, has the friendliest locals in all of Southeast Asia. That said it’s no secret that so many travelers fall in love with this Indonesian island. This Bali Itinerary offers the perfect mix of beach, culture and adventure. 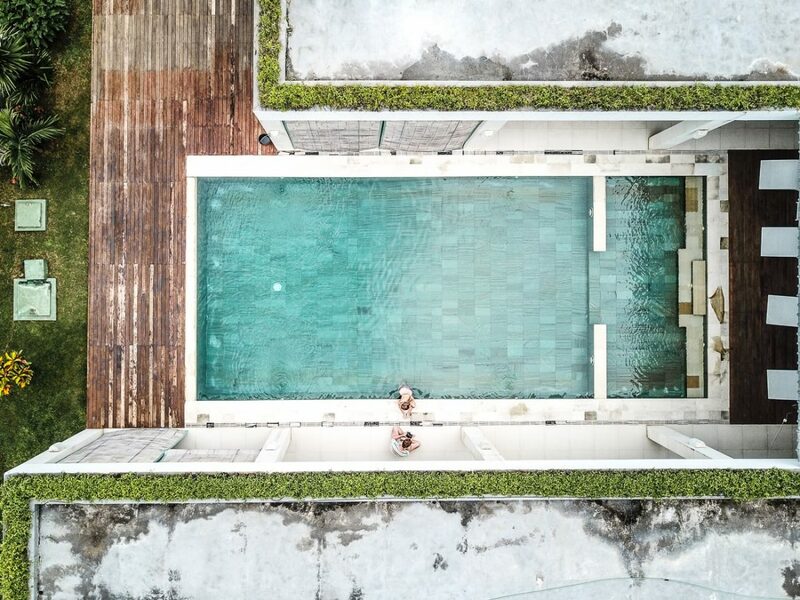 We listed our favorite areas and which places you absolutely have to visit for your perfect Bali experience in a day by day guide. From the South, where you find plenty of beaches, to Ubud and the popular Monkey forest, until you reach the mountains in Northern Bali. As we already mentioned Canggu is our absolute favorite area and the perfect place to start into your Bali adventure. From Ngurah Rai International Airport in Denpasar, it takes about 50-60 minutes to arrive in Canggu (depending on the traffic and the location of your accommodation). See our post about the Best Restaurants in Seminyak & Canggu to the top places for your time in Canggu. With its laidback vibes, Canggu is THE area of choice among many Bali expats. So get your scooter and don’t forget your helmets, and start exploring one of the most upcoming areas on Bali. To start your first day right we suggest heading to the popular surf spots first thing in the morning. Canggu’s sandy beaches shimmer in a light black or grey thanks to Bali’s volcanos. 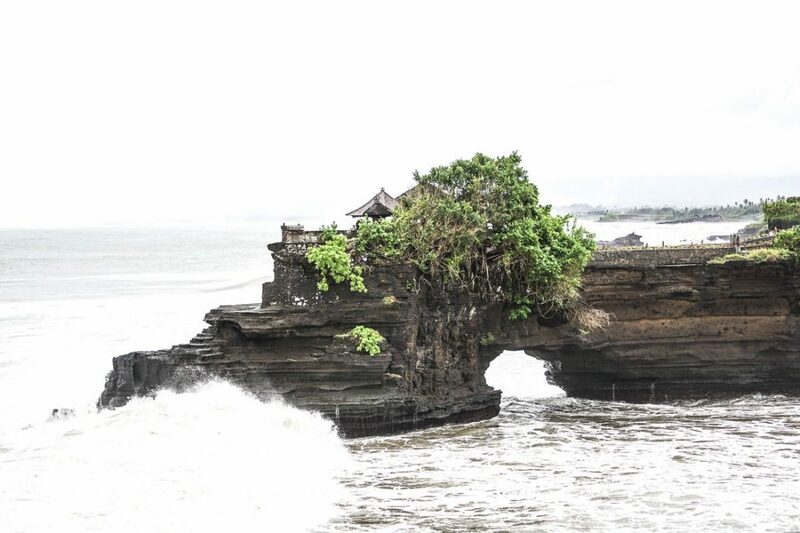 The popular ones are Batu Bolong, Berawa and Echo beach. We had our first surf lesson on Batu Bolong and we’ll never forget it. It was so much fun and also super exhausting. Yes, learning how to surf is exhausting at first! You have to paddle all the way out to the right spot, while it will definitely happen once or twice that a wave will throw you all the way back to the shore. It can get a bit frustrating at the beginning but keep it up – it’s so worth the effort! 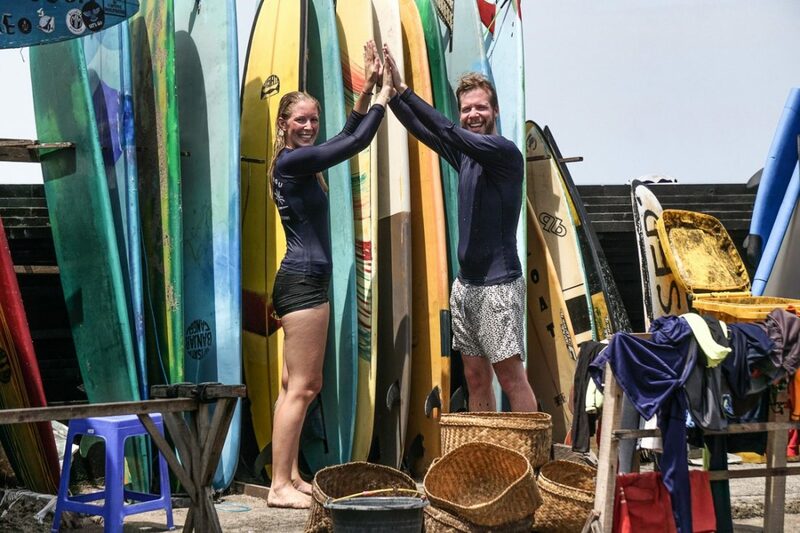 At Batu Bolong you will find plenty of little stalls offering 2-hours surf lessons including a teacher and a surfboard for 200.000-300.000 IDR. During our lesson, our teachers stayed with us the whole time and gave us helpful tips on how to get up the best. At the end of the 2 hours, we were both super tired but happy that we made it. There is no better way to breathe in the Bali atmosphere in the morning than strolling through the local markets on your way to the beach. Two of our favorites being the Love Anchor Market (Bali’s Hipster Market) on the street leading to Batu Bolong Beach and Old Man’s Sunday Market down at the beach. Another amazing part about Bali is the number of fruit markets. You can find them on almost every street and besides the delicious taste, they are super affordable. 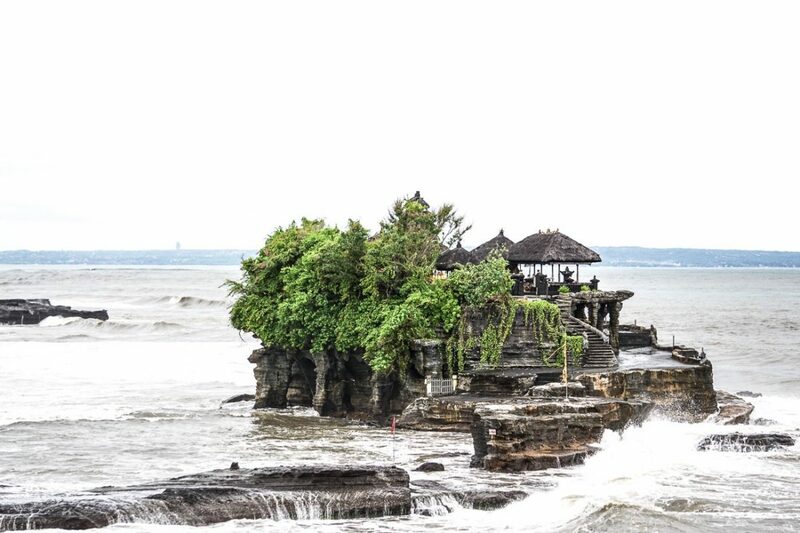 After your surf lessons, you can either spend the rest of your day at the beach or head to the close by Tanah Lot Temple. It’s a 30 minutes scooter ride to the temple which is the most visited tourist destination on Bali. Located on a large offshore rock it’s only possible to visit the temple during low tide. Tanah Lot is a place to worship the Balinese sea gods and it’s popular amongst tourists for the incredible views when the sun starts to set behind the rock with the temple on it. It is said that the caves below the temple are home to sea snakes which guard the temple from evil spirits and intruders. On your way to the temple, you will pass an endless amount of shops selling all kinds of souvenirs. If you want to head over to the temple make sure to bring appropriate clothing, like a Sarong. You should always cover your shoulders and knees when entering a Balinese temple. Being located in the South of Bali the Bukit Peninsula beholds many beautiful treasures. We suggest visiting the following top places during your day on the Peninsula. Start your day early and make sure to stop at one of the stunning beaches on West of the Peninsula. Balangan Beach is a beautiful white sand beach which is usually not crowded. After a refreshing swim continue your journey to the South of the Bukit Peninsula to Green Bowl Beach. Spend the midday heat in the beautiful turquoise water, which attracts mostly locals. Did you know that Bali is popular for it’s abandoned airplanes? Yes, that is a thing on Bali! Only a 5-10 minutes scooter ride from Green Bowl Beach you can find the probably most popular plane on the entire island. It’s located on a private property along Jl. Raya Nusa Dua Selatan. After spending half the day at Bali’s beaches and exploring the abandoned airplane head to Uluwatu Temple in the afternoon. 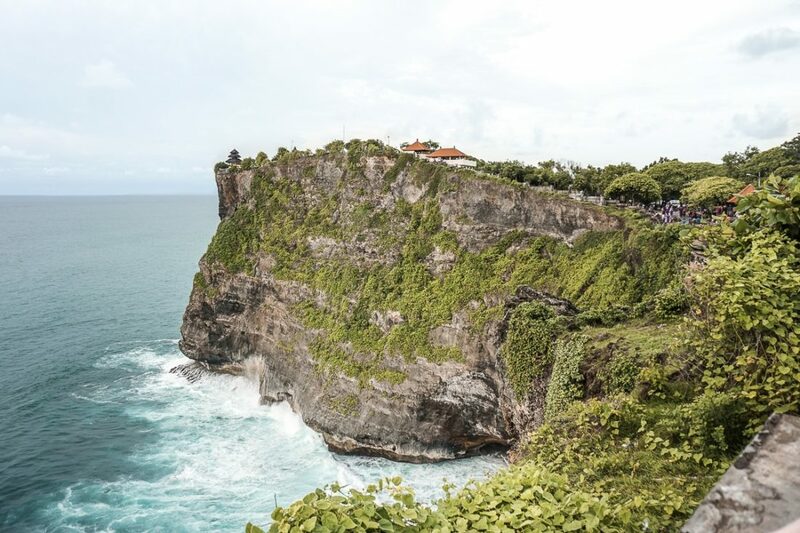 The temple worships the Balinese Hindu deity of all elements and aspects of life in the universe and it’s believed to protect Bali from evil sea spirits. 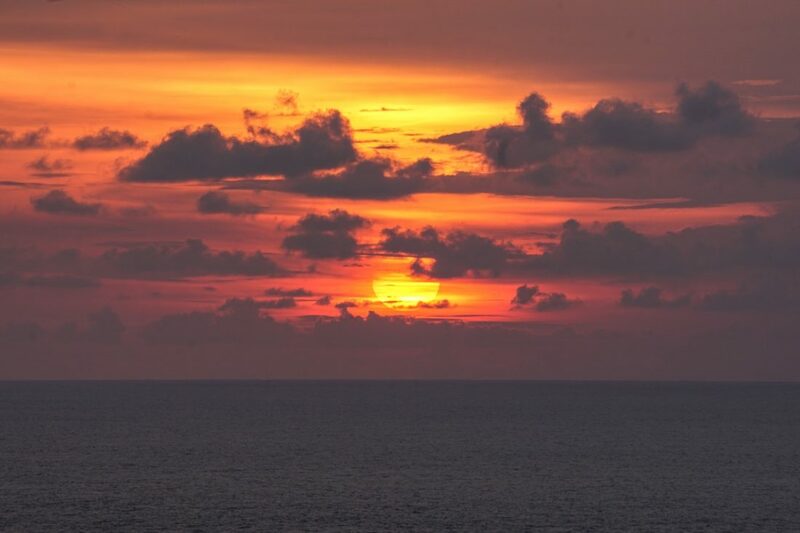 Uluwatu Temple is sitting on a 70-meters high cliff which makes this temple another stunning spot for beautiful sunsets. Stairs are leading up to the temple and a path is leading past the clifftops with their views across the ocean. Another highlight at Uluwatu Temple is the Kecak Fire Dance, performed every evening during sunset. Its plot is based on a traditional Balinese ritual telling the famous Hindu story of the Ramayana. In short, the performance tells the story of a princess who is stolen from her husband by a demon and the challenges the young prince has to overcome to rescue her. 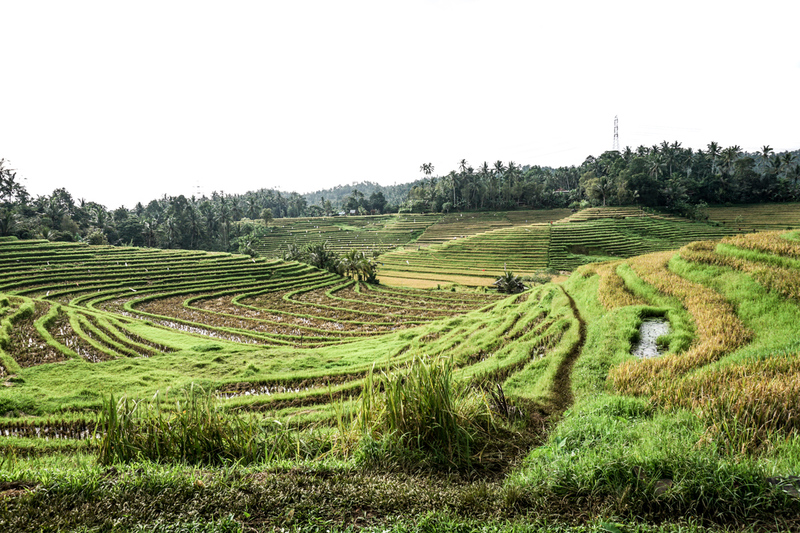 The Rice Terraces in the Belimbing region are our absolute favorite rice terraces on Bali. When we visited them in early 2018 we were the only tourists around and couldn’t believe the beauty of the endless rice paddies. While a scooter is the best way to explore all the parts of Bali we recommend renting a Grab or Uber when changing locations. It will take a bit longer to drive by car but it’s definitely the more comfortable way to move from one area to another. Especially with your luggage and stuff. From Canggu to Ubud it usually takes about an hour by car. 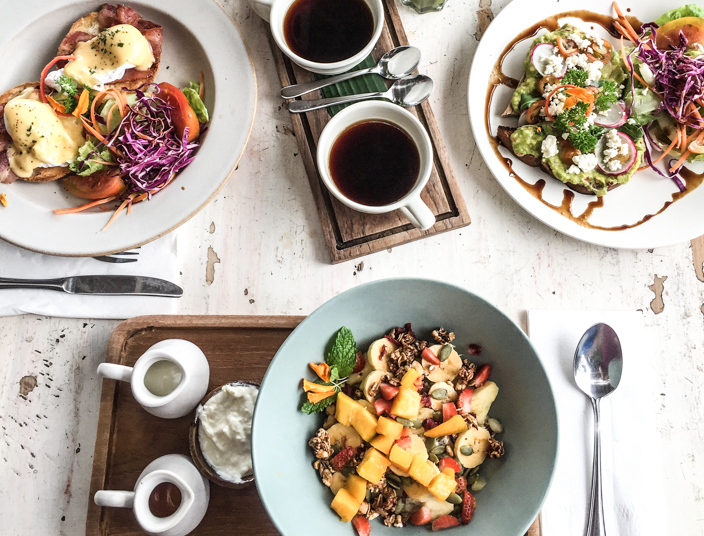 So enjoy one last instagramable breakfast in one of the Best Restaurants in Seminyak & Canggu and head to your next destination. Located super close to the beach Shinta’s Hidden River Cottage is a real gem. If you are looking for an even more exclusive villa check Mark’s Luxury Villa with rice field views. 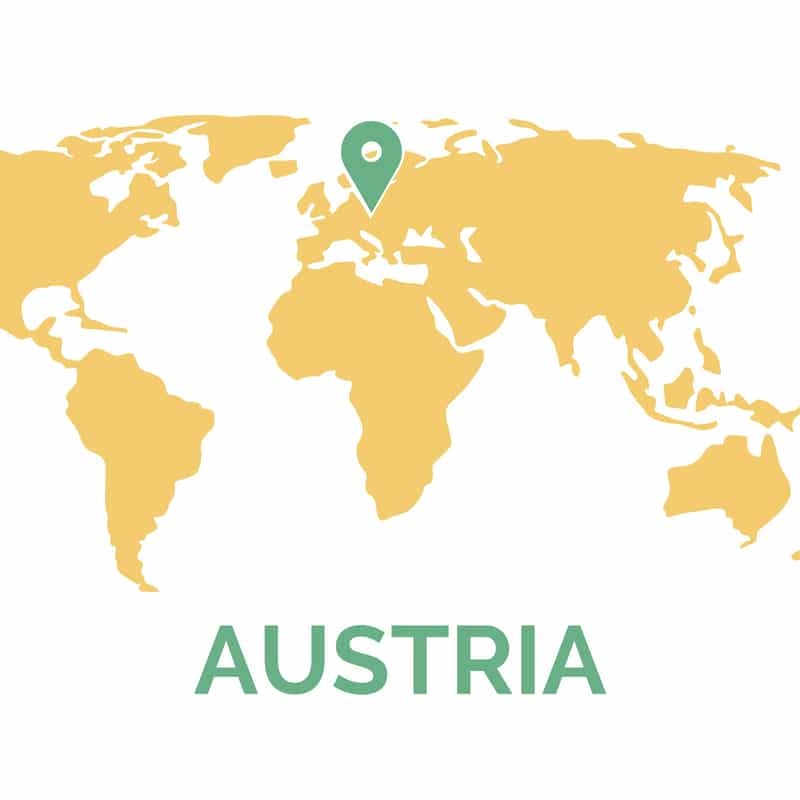 For the budget travelers, we can absolutely recommend staying at Trisna’s Riviera House including good vibes and likeminded travelers. Strolling through the city you will soon notice the different atmosphere compared to Canggu. 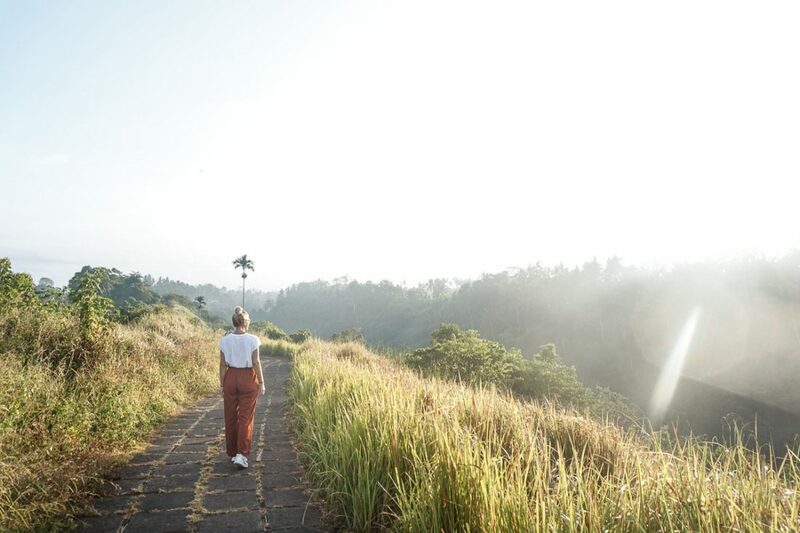 Instead of surfer vibes and beach babes, Ubud is known for its spirituality and as a cultural center. 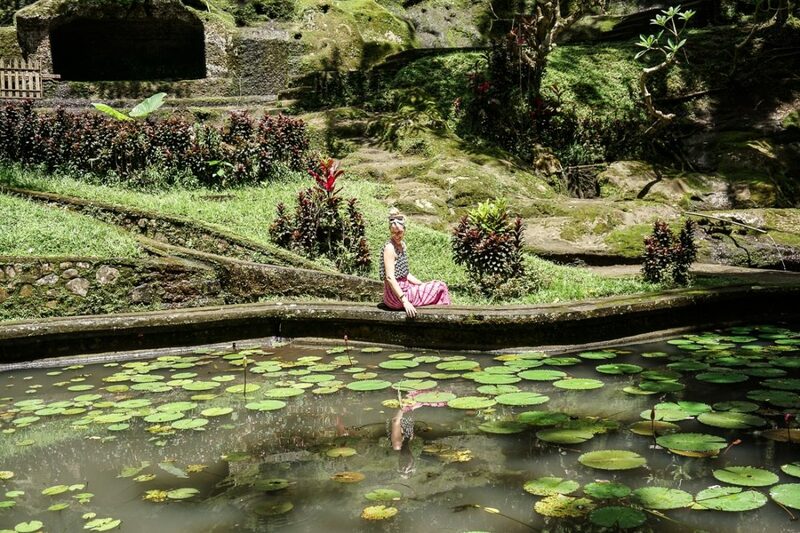 What better way to experience the spirituality of Ubud than visiting its most famous temples. Only 10 minutes from Ubud’s center is the Goa Gajah temple. Goa Gajah is a popular water temple and also known for its beautiful gardens. After experiencing the first temple head to Ubud’s Traditional Art Market in the center of the city. It’s a great place to buy local souvenirs or a new Sarong. Bargaining is expected so make sure to use your haggling skills. This temple is 30 minutes from Ubud and famous for its holy water spring where regular purification ceremonies are celebrated. 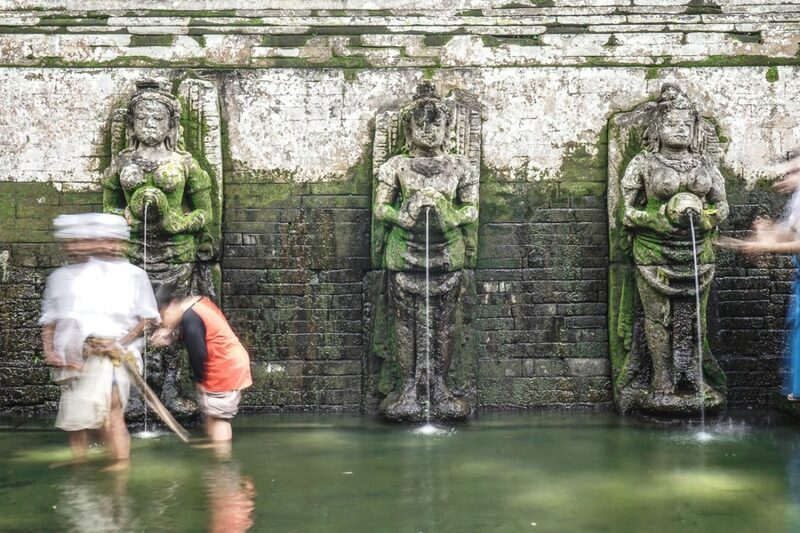 Another temple worth a visit is Gunung Kawi Sebatu which is only 10 minutes from Pura Tirta Empul. Being one of the least visited temples it guarantees a beautiful and tranquil experience. Perfect to end your day filled with temples. The Campuhan Ridge Walk was on our bucket list since our first time in Bali but due to bad weather, we never made it until our 3rd visit to the island of the Gods. Known for its lush and scenic views this trail is loved by local joggers, dog owners as well as tourists. Start into another early morning and head to the Campuhan Ridge Walk to watch the sunrise. Since the area is exposed to the elements it gets way too hot during the day. You will also have the best light during sunrise to shoot some amazing pictures. We were super lucky when we headed to the Campuhan Ridge Walk because apart from a few joggers and maybe 6 other tourists there was no one around. If you walk the whole path, which takes about 30-60 minutes (depending on how many pictures you take), you can continue to the Jungle Fish a laidback beach club without a beach but with a pool in the middle of the jungle. Enjoy their breakfast and relax in the pool soaking in the amazing jungle view. The most popular amongst all of Bali’s Rice Terraces is definitely Tegalalang. 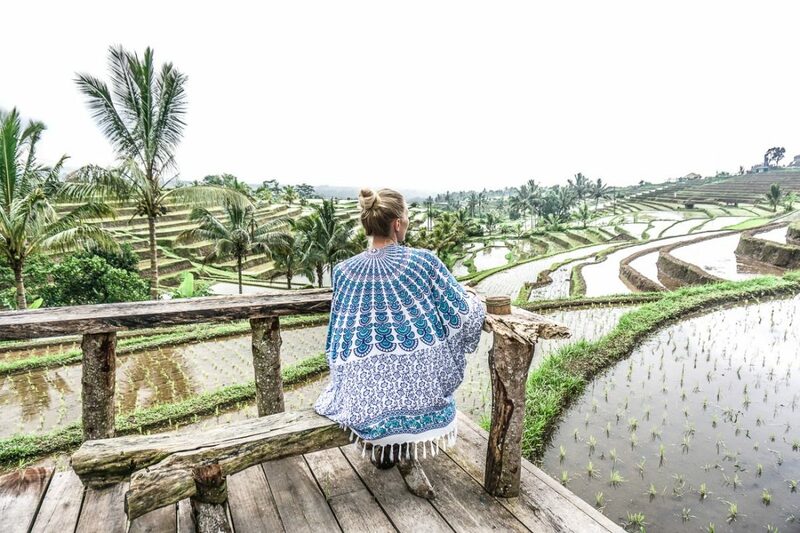 It was the first rice terrace I visited in Bali and I was stunned. 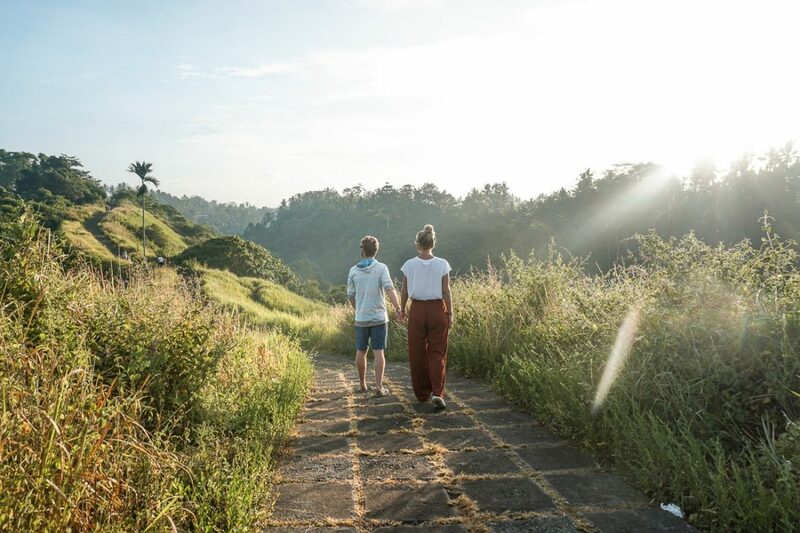 During our time together on Bali Berni and I visited a couple more terraces and we put together all you need to know about The 3 Most Magical Rice Terraces In Bali, including Tegalalang of course. 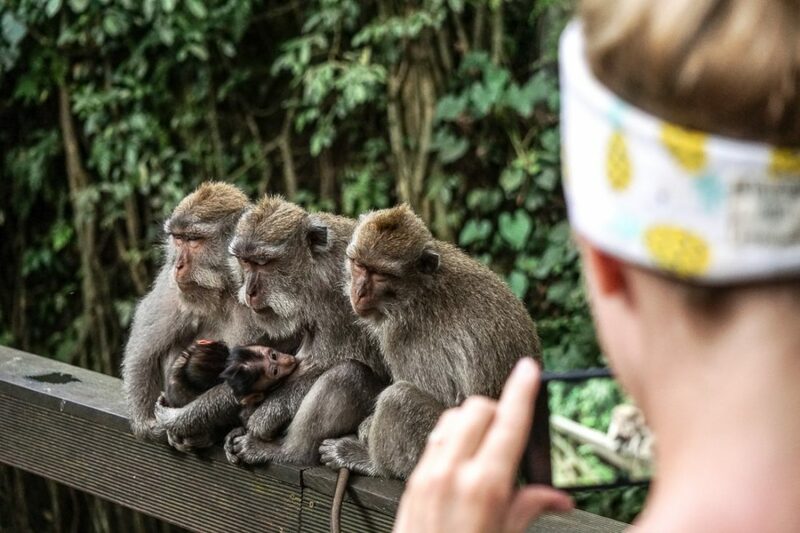 For your afternoon we recommend visiting the Sacred Monkey Forest which is located in the center of Ubud village and a dream come true for anyone who loves monkeys. 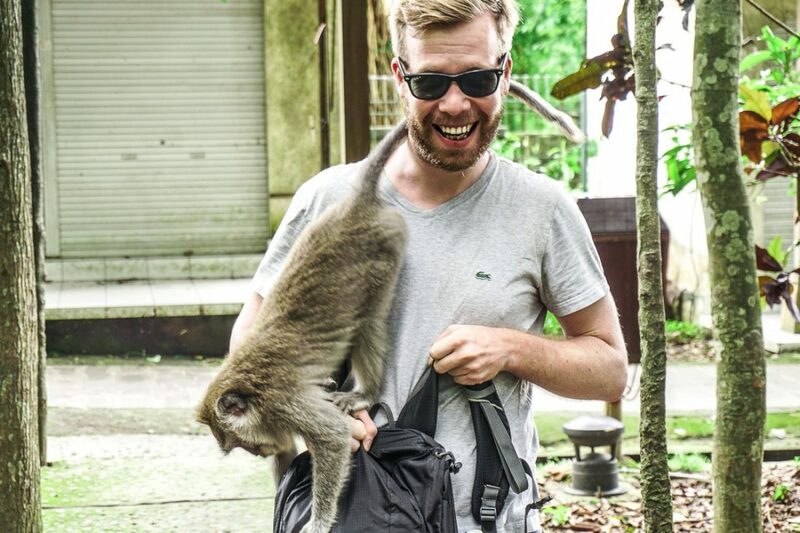 The Monkey Forest plays an important role for the village as a spiritual, economic and educational center. 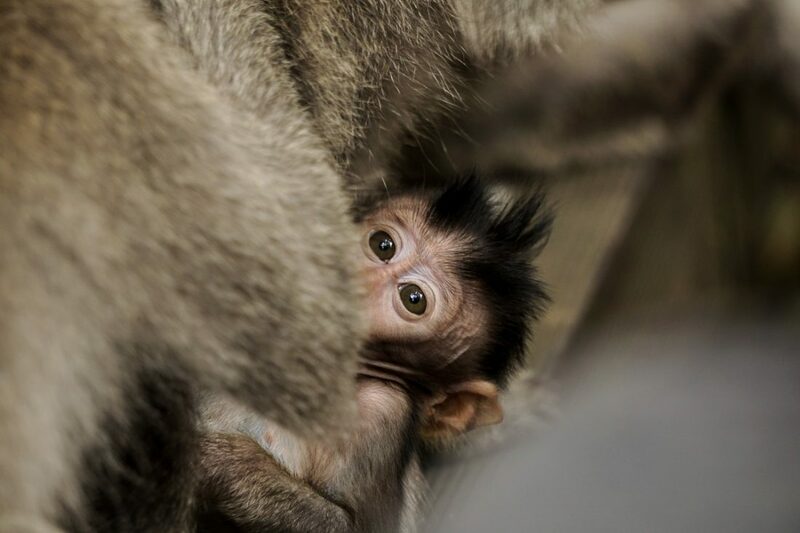 It’s also a place for research to learn more about the monkey’s social interaction and behavior with their surrounding environment. 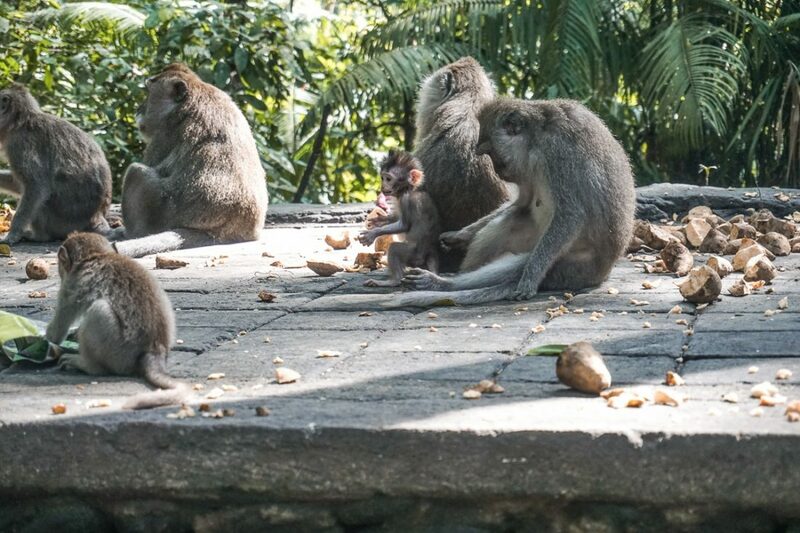 There are about 600 macaques living in the Monkey Forest divided into 5 groups. The main food of the monkeys is sweet potato. 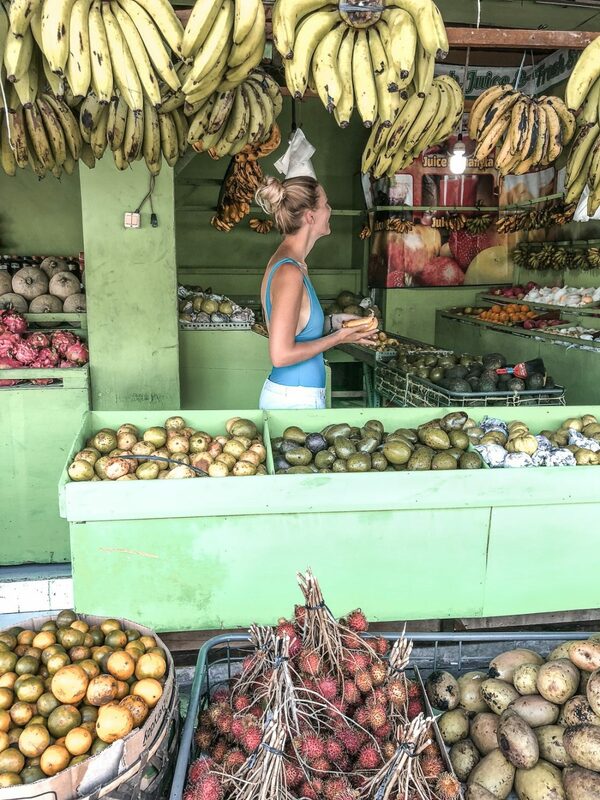 In addition, they get treats like banana, papaya leaf, corn, cucumber, coconut and other local fruits. A special highlight in hiking Bali is the 1717 m high Mount Batur which is an active volcano and has the largest crater-lake in Bali. Most popular are the guided sunrise treks. After being picked up around 2 AM in the morning the car will bring you to the base of Mount Batur where you can enjoy tea or coffee with the rest of the group. When it’s still dark you start your hike at 4 AM. It takes little less than 2 hours to hike up to the top. The hike itself can be challenging at some parts leading through mostly off-road trails and rocky terrain. It’s recommended to wear proper hiking boots and long sleeves because it’s very chilly in the early morning. 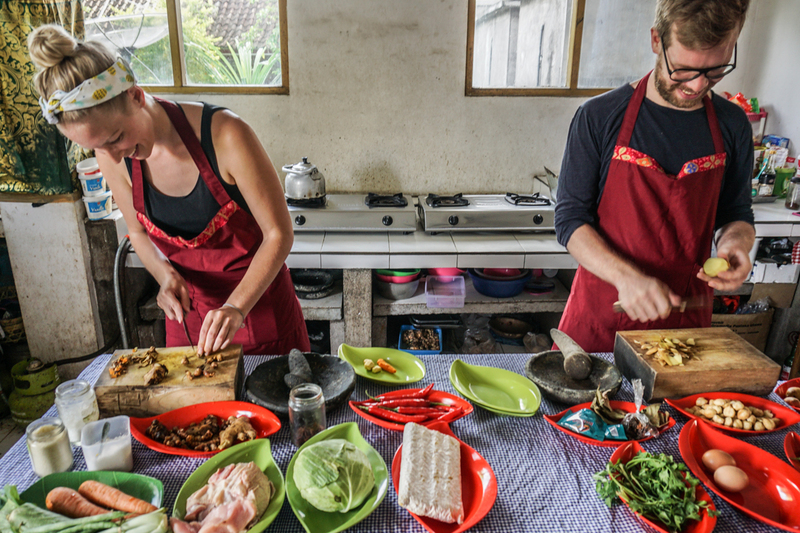 On top of Mount Batur you will not only be rewarded with the amazing views but also with breakfast that includes eggs cooked on lava-heated rocks, bread and fruits. To relax your aching muscles head to the Hot Springs at the foot of Mount Batur after your descend. If you don’t want to miss this experience check the Mount Batur Sunrise Trekking Tours. Again it’s time to say goodbye but there are more adventures ahead of you. The Northern part of Bali is completely different to what you have seen so far. So once more pack your backpack and head to the bus terminal this time. We recommend taking a shuttle bus instead of Uber/Grab to Northern Bali because is cheaper. Check for example the Ubud Shuttle Service, they have 2 shuttles per day for 150.000 IDR going to Munduk. If you are staying in Lovina take one of the Perama Shuttle Service for 125.000 IDR. Room prices starting from U$ 283. Room prices starting from U$ 190. Room prices starting from U$ 48. Room prices starting from U$ 15. Start your day by heading to Pura Ulun Danu Beratan. In the highlands of mount Bedugul sits lake Beratan with the beautiful water temple Pura Ulun Danu Beratan. Located on the shore of the clear lake, 1.500 meters above sea level, this place is one of a kind. Breathing in the clear mountain air you can enjoy the amazing view over the lake. No wonder this temple is the second most photographed on Bali after Tanah Lot. Lake Beratan is the second largest lake on Bali. It once was the biggest one before an earthquake divided the lake into three sections: Beratan, Buyan and Tamblingan. Buyan and Tamblingan are the next stop on day number 11. You will pass the so-called twin lakes when driving to Ulun Danu Beratan. However, we recommend visiting Lake Beratan first to catch the stunning morning light shimmering on the lake and giving the temple an even more magical touch. On the road (Jl. 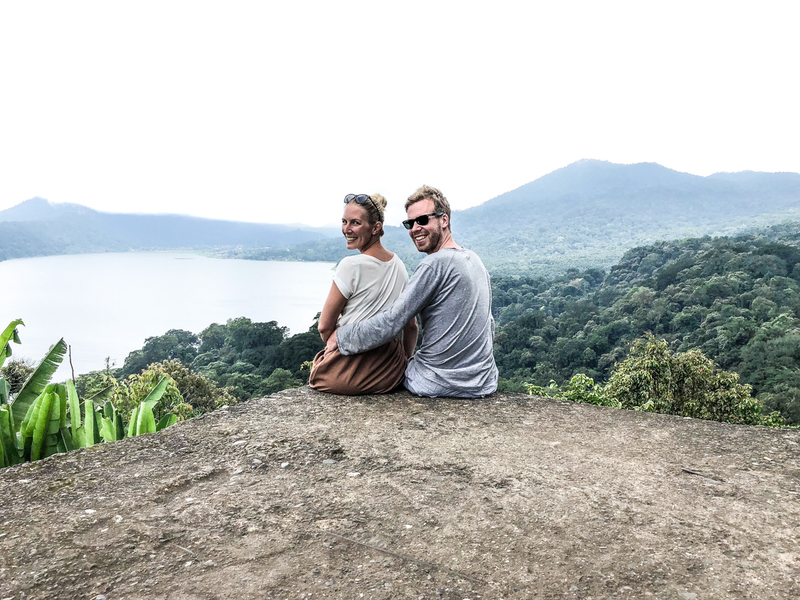 Raya Wanagiri) you find lots of the famous Selfie spots overlooking the twin lakes. It’s located on Jl. Raya Wanagiri facing Tambligan Lake but you can see Lake Buyan as well. In Lovina, we finally booked one of the classes offered on every corner of Bali. Read all about this amazing experience and get 4 traditional Balinese recipes in our post about our Cooking Class in Bali. If you do feel hungry or need a coffee in the afternoon check the Top 5 Cafés in Lovina. The Jatiluwih Rice Terrace is reaching from the foot of the mountains to the coastal side. Seeing rice fields that extensive is a breathtaking experience. Some say that this rice terrace is on the world heritage list of UNESCO, but it’s actually the whole process behind this amazing agricultural system that made it a UNESCO World Heritage Site. 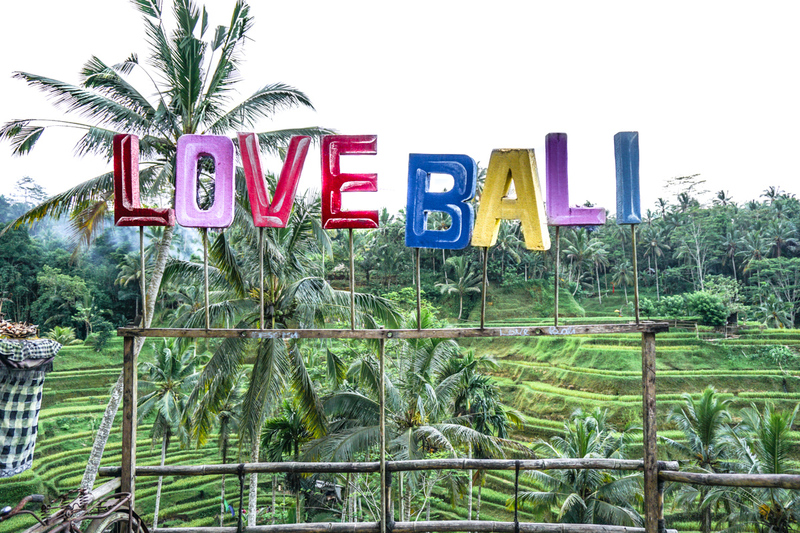 Read all about it in our post The 3 Most Magical Rice Terraces in Bali. Don’t be sad that it’s over, be happy that you’ve experienced this stunning island! Now you know how to get around on Bali and what to do so why not come back and if you want to explore something new check our Nusa Islands Add-on. If you want to enjoy a luxury mountain retreat in Northern Bali, staying at the Munduk Moding Plantation is the right decision. Breath in the mountain air while relaxing at the infinity pool or enjoy their coffee tasting after one of the massages. Room prices starting from U$ 170. Another amazing tip is to stay at Andri’s Villa Putih in Lovina. With a spacious room right next to the pool and Andri as one of the most friendly hosts we ever had. Check out the pool in the picture! 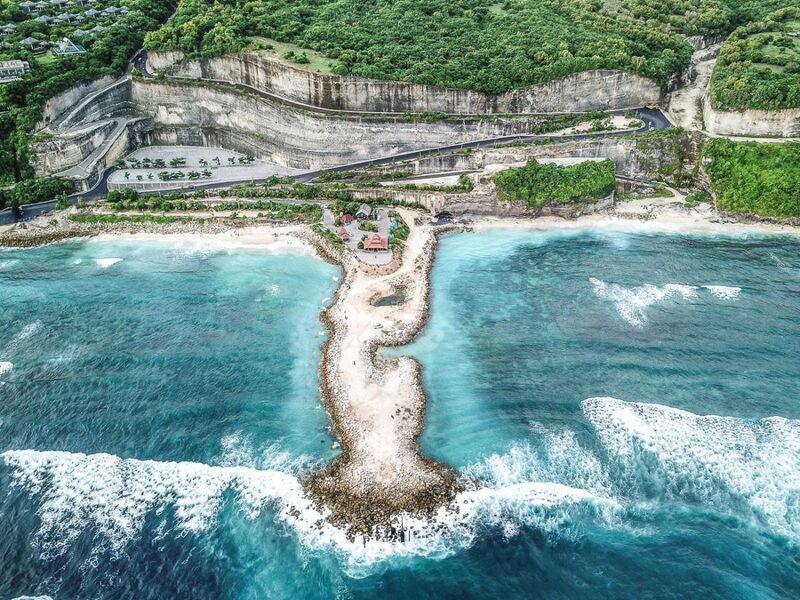 If you have more than 2 weeks to explore Bali or want to skip one of the above-mentioned points to head over to the even more remote Nusa Islands keep on reading. We explored Nusa Lembongan, Ceningan and Penida and it is easy to choose our favorite. 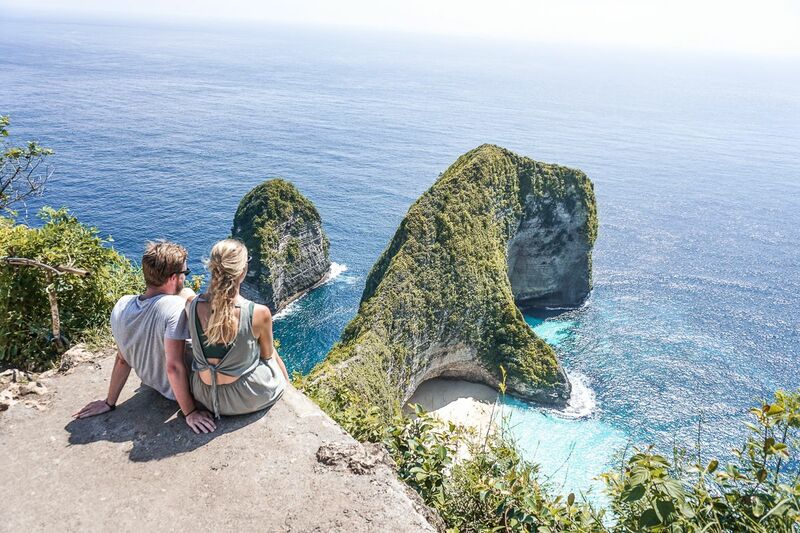 Nusa Penida, the Bali 20 years ago, has an incredible amount of breathtaking beaches and other beautiful spots. Riding your scooter beneath palm trees along the coast or down to the cliffs is an experience you won’t find anywhere else. For all waterfall lovers out there Bali is the perfect island to explore incredible waterfalls! 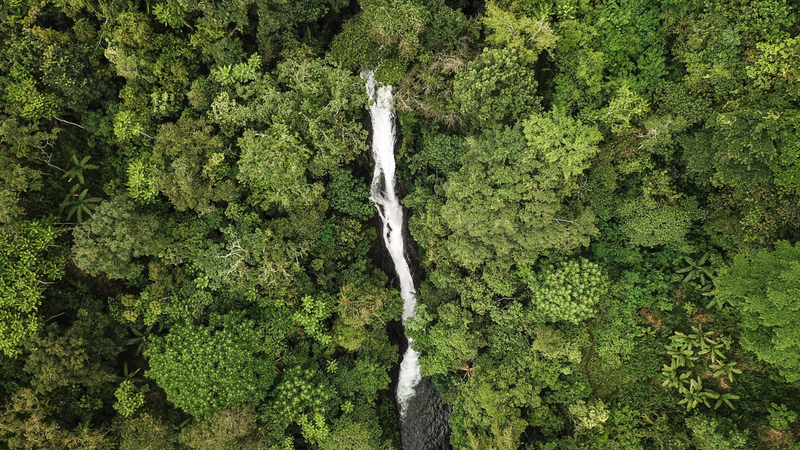 We put together a list of the most breathtaking Bali waterfalls including why you have to visit, their special characteristics, the exact location and of course stunning pictures. Check them out in our post about the Top 7 Bali Waterfalls. Is there anything we missed or do you have an extra tip for us? Damn guys so grateful for this beautiful guide! We are heading to Bali in a few weeks and this came right on time :D We’ll save some of the tips! Let us know how you like Bali. We always rent scooters in Indonesia. It’s the easiest and most flexible way to get around. Especially for exploring the area around Ubud (the temples and waterfalls) and to get to the best restaurants and beaches in Canggu. ;) However, if you are only in Canggu for 1 night after Nusa Penida I am not sure if it’s worth the effort. From Ubud to Canggu or to the harbor we suggest booking an Uber or Grab car. They are much cheaper than the taxis and we were always satisfied. Where in the north do you want to go? Only for a day trip from Ubud? Depending on the distance a private car might be more comfortable than a scooter.